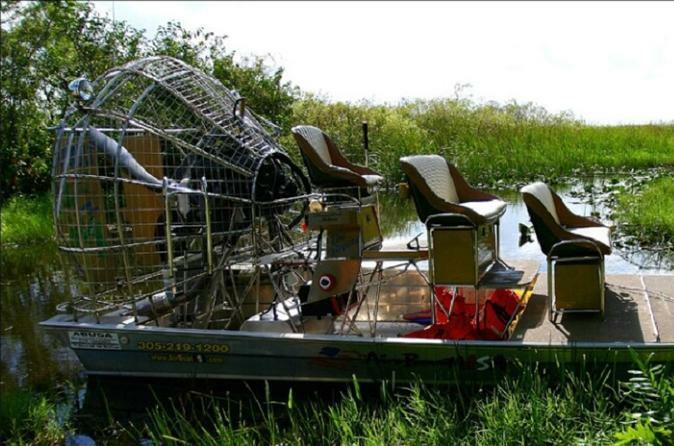 Explore the natural and hidden secrets of the Everglades on this private 2-hour air boat tour. On this private tour, marvel at the fragile and unique ecosystem found in the Everglades National Park. See incredible wildlife and gorgeous wetlands on this exciting air boat tour. Select the best day and time for your adventure in the Everglades. Then, meet your friendly and accommodating guide at the launch area, located at 22700 South West 8th Street. Settle onto the air boat with your group of up to 9 people. Sit back and enjoy the air rushing past you as you begin your private 2-hour air boat tour. Experience the Everglades from the comfort of leather seats on your private air boat. Delight in the knowledge of your professional guide as they tell you about the history and culture of Southern Florida. As you weave through the water, discover alligators, birds, otters, and frogs. If you are lucky and have good eyes, you may even see panthers, bobcats, and bears! Admire the beauty of the Everglades National Park while floating through wetlands and swamps. Make incredible memories while seeing nature's beauty on this private 2-hour air boat tour in the Everglades.